Reformation day was created in memory of Slovene protestants in 1500s, most notably Primož Trubar, who wrote the first ever book in Slovene (he also wrote the second ever book in Slovene). But Slovenia almost forgot this great man and the only indigineous religion of this land. It was up to the man in the picture, Lev Kreft of Social Democrats who – when the parliament was just about to pass the Law on National Holidays, to stand up and note that there is a shitload of Catholic holidays but not a single Protestant one. This was passed and thus, ever since the mid-90s, 31 October is known as Reformation Day. Funny thing is, that Mr. Kreft is of Jewish faith and it was up to him to stand up for the Protestants. Obivously, noone thought of returning the favour. NOTE: As crni noted in the comments, Slovenia does not have a pension fund as such, but rather a pas-as-you-go system. 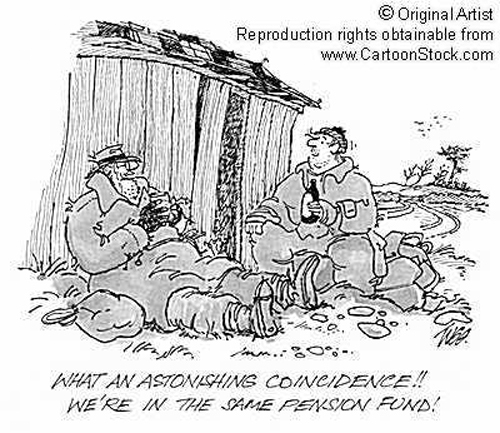 So, do me a favour and in the entire post for “pension fund” read “pension system”. As I promised to my favourite moose yesterday, I have a thought or two on how to keep the pension fund system solvent for the forseeable future. The situation in Slovenia today is, that statstically 1,1 employed persons support one pensioner. Only twenty years ago this ratio was 1,7:1, which shows that the population is a) rapidly getting older and b) that there is not nearly enough employment to support the pension fund. The government(s) is (are) trying to cope with this huge problem basically in two ways: One, cutting down on pensions (mostly by trying to keep them for rising together with inflation), and two, by making people work longer with a prospect of a much lower pension. Which is all fine and dandy, with the slight exception that these measures only postpone the problem and do not slove it at all. Because, on the other hand, we have an increasing number of graduates who cannot find a job, which means that they cannot get a credit line to, say, buy an appartament, which in turn means that they cannot start a family, which in turn means a slow but steady drop in child-birth, which finally brings us to out starting point of an ever older population which needs those who are employed work longer for less pay to support both students and pensioners. What few people seem to take into account is, that today, when people retire, they are still fit – both mentally and physically. Which of course means that they could still work. So there I was, one fine Tuesday morning, thinking what if we forced these people to retire with a more or less full pension, but then re-hired them part time, just like students. I know this sounds like a crack-pot idea, but think about it for a second: If you force people to retire at a certain age, you spin the wheel of the labour market a bit faster, perhaps freeing a job or two (or a couple of thousand), making room for young people to get their first job. It needn’t be a glorious job, just something to get them started and allow them to start accumulating work-experience. At the same time, we need to create another parallel labour market – like the student labour market, but this one exclusive to pensioners. 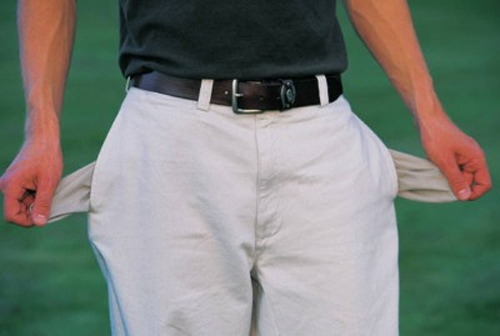 The trick would be that the pensioners could keep all the benefits of a pension, but still work as much (or as little) as they would like to and would not get taxed for it – unless of course their income from this source would surpass a certain census – this tax would have to be quite heavy, because we need to destimulate employers hiring only pensioners and students. Thus, the pensioners would still generated added value, but inside a different labour market, freeing up space in the “real” labour market for young people, who had just left the student labour market. Posted on October 25, 2007 October 25, 2007 Categories Ramblings, Slovenia25 Comments on Save The Pension Fund! Having been irked by Sunshine’s post on the issue, I think it is only fair that I post some thoughts on the subject of student work. First, the very basics. Slovenia has two parallel labour markets. The “regular” one and another one, reserved solely for students. The theory behind it is, that the student labour market should function both as a social corrective for undepriviliged studensts and as an organised scalp hunting ground, where students would meet their prospective employers and vice versa. Students in Slovenia enjoy numerous benefits, cheif among them are social and health insurance paid by the state. This plays an important role in hiring students as a temp-workforce, since employers don’t have to pay for students’ social and health services, nor do students contribute to the public pension fund. Furthermore, students’ income is not subject to taxation unless it reaches the income census (some € 6600 on a yearly basis). So both students and employers are keen to enter the student labour market. This is all theory, of course. The question is, does it work in pratice? Well, you might be surprised, but it actually does. Students either find summer-, temp-, or even full time jobs on student labour market, thus greatly improving their income and quality of life – not to mention accumulation experience and generating contacts which might come in handy when they’ll need a “real” job. Well, it works most of the time, anyway. The problem is that employers are obviously keen on cutting down cost of labour so they tend to take full advantage of the student labour market. So if you’re young and looking for a regular job, the first thing your prospective employer will ask you if you can work on “napotnica”, which is a euphemism of employing you as a student, rather than giving you a full time job. For the uninitiated: a “napotnica” is a slip of paper (in quadruplicate) which serves as a proof of employement, as a report of student’s work and as a student’s summary of income earned. It is in fact the only paperwork you need to employ a student. It is also much more of a hassle to deal with than it seems at first. This obviously de-stimulates the would-be employees, who are looking for a real job, which brings other benefits, chief among them the fact that you can a) finally apply for a credit line at a bank and b) start accumulating years of employment, which will after decades of hard work make you eligible for a pension (albeit a meagre one). Most of the time young people – especially those who are not, how shall I put it, cremé de la cremé (and I’m being euphemistic here) – will take any job, as long as it brings money. Mostly because they know that if they don’t, someone else will. The employers are obviously aware of this fact and are often willing to wait for the “cheapest” candidate and not the one with most potential. Which of course only works for as long as you need highly educated but almost totally unskilled workforce. In the long run this spells doom both for students and for the comapnies hiring them. When students run out of options for student work (for the reasons cited at the beginning), they suddenly find out how hard it is to get a real job, because they’re 26 years old, don’t have a single year of work experience (only years in which you have contributed to the pension fund count, officially), most of the jobs they can apply for are already taken by other – younger – students, and there they stand, suddenly realizing that they’re half-way to mid-life crisis, with nothing to show for and a distant prospect of retiring at the tender age of 66 at the earliest. So my advice to students would be to find a student job and then to do your damnest to keep it full-time at least for a couple of years. It’ll make you hugely popular with people from human resources departaments and give you the edge against your competition. My advice to HRM people: stop going ga-ga over student workforce. Yes, you can hire five students for one full-time employee, but they are also five times less reliable in the long run, because they have to deal with exams, heartbreak, long summer breaks, hangover and/or Weltschmertz. Yes, they’re easier to fire, but then you just have to go through the entire process again. Is it really worth it? And my advice to employers: Student work force saves you the monies you’d have to spend of social- and health care, but you only spend 16% out of worker’s gross paycheck on Sozialversiecherung Sozialversicherung. The remaining 22 % go out of workers’ pocekts, so you’re better off. Plus, you can squeeze a “regular” worker harder then you could ever squeeze a student. Because if you ask that little extra of a student, he/she will usually claim exams, heartbreak, long summer breaks, hangover and/or Weltschmertz. 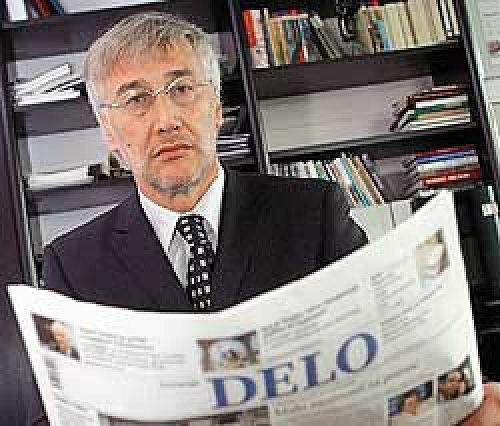 Danilo Slivnik, CEO of Delo newspaper yesterday tendered his resignation in what was a rather stunning turn of event. 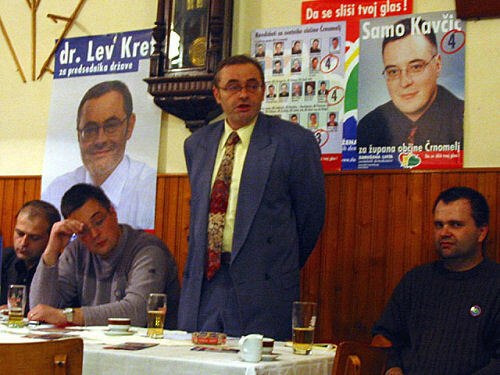 Thus he follows the fate of Peter Jančič, who “was resigned”, so to speak, after Laško Brewery re-claimed the paper from the grip of Janez Janša. It is not entirely clear what percipetated Slivnik’s resignation, especially since the grapevine had it that he and Andrijana Starina Kosem, the head of Supervisory Board have managed to reconcile their differences. But apparnetly the divide was far to great for the two of them. There are only circumstancial clues as to what actually happened, but it would seem that Slivnik’s appetites grew bigger again, as the shareholders changed the company’s charter several months ago, allowing the CEO to serve as Editor-In-Chief as well. That didn’t happen and it looked that Slivnik was on the outs. He somehow survived though, but now – only a day after presidential elections – the shareholders (meaning the board of Laško Brewery, meaning Laško’s CEO Boško Šrot and Andrijana Starina Kosem) – changed Delo’s charter again, transferring the right to name the Editor-In-Chief to the Supervisory Board rather than leaving it with the CEO. This seems so have been the final straw which broke the camel’s back and Slivnik realized that his dream of joining the two functions will not come true. So, what happens to Danilo Slivnik? Well, now that he was replaced by Peter Puhan (until today, CEO of Slovene Railways, but in reality a trusted SLS cadre), he must embark on a long and paintful road through purgatory which might or might not end at his true master’s heels, listening to his voice. Again.